As Spring has sprung here in Australia, my mind wanders to food for the Summer months. Especially ice cream, now I love nothing more that dipping my spoon into a wonderful creamy ice cream, especially if I have made it myself. If you are like me and have a home ice cream churn that needs the main bowl frozen for 24 hours and don’t have the room in your freezer or who doesn’t remember to keep it in the freezer, then these recipes are for you. There isn’t a custard in sight that you have to stand and pray over so it doesn’t become scrambled eggs, or the all day process of making a base then getting it cold in the fridge then churning it, then freezing it. Mind you I have made ice cream like that, and will probably do it again in the future when I am organised and have the time, but these recipes are for those of us that are time poor or who in the morning think, “gee I wouldn’t mind some homemade ice cream for dessert tonight”. These recipes are for you. Now take the base recipe and flavour it with anything. Ever Christmas I make a large quantity and flavour one third with vanilla, the other third I flavour with coffee extract, not what you get from the supermarket but small bottles of flavours that you can purchase from cake decorating shops. Here in Australia I bought mine from Spotlight. I also had bought dark chocolate coated coffee beans which I broke up and stirred in. To give the final third a real Christmas feeling I smashed up peppermint flavoured candy canes and stirred them in. Tasting all the time to get the right flavour, some jobs are really hard ! The list of flavourings are endless soak ¾ cup raisins in ½ cup of rum overnight then add to make rum and raisin, rosewater and crushed pistachios, add some fresh lime juice and a shot or 2 to make tequila to make a margarita flavoured ice cream, grated chocolate or chocolate chips or even fresh berries stirred in. The list is endless. Now when you flavour ice cream don’t forget you will need the flavour to be stronger than you think, because once it is frozen the flavour lessens. Also when using alcohol it takes the ice cream longer to set, and it you use too much it won’t set properly at all. As for semifreddo – semifreddo in Italian means half frozen, they are similar to no churn ice creams only there are made in a plastic lined loaf tin and sliced. You can vary these as well, stir in berries then make a couli with berries and sugar to pour over your slice of semifreddo, flavour it with coffee essence then stir in chocolate chips for a mocha flavour. The list goes on and on. Beat together until soft peaks form, add flavourings. Put into an airtight container. 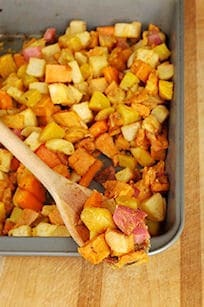 Freeze for at least 4 hours or overnight. 600ml thickened cream, 2 tablespoons sifted icing sugar, 250 gm mascarpone, zest of 1 lemon, juice of 2 lemons, 1 jar lemon curd. In an electric mixer, beat the cream and icing sugar until soft peaks form. Add mascarpone and beat until just combined. Stir in the zest, juice and lemon curd. 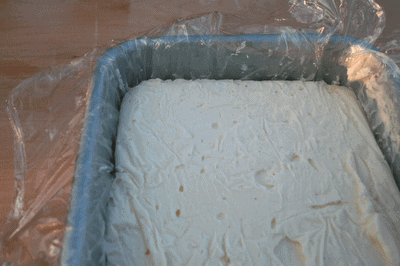 Place into an air tight container and freeze overnight. Beat all 3 ingredients together and pour into prepared loaf tin. Cover with plastic wrap and freeze over night. Line a loaf tin with plastic wrap, making sure there is plenty of overhang to cover the top. Gently heat honey, lavender and 100 ml cream, DON’T bring to the boil, just heat until blood temperature. Remove from the heat and let cool. Once cool beat remaining cream until soft peaks, add honey mix and beat in. Pour into loaf tin. Cover the top with over hanging plastic wrap. Freeze over night. To serve peel back plastic from top, upend onto a platter, remove plastic wrap and slice.